FIRST OF all, my belated thanks to those readers who sent in their responses to the editing exercises I put out in this column a few weeks ago. In no particular order, they included Ed Maranan, Adrian Laserna, Vince Mendoza, Ver del Valle, Crisma Mina, Fely Claviolo, Renz Felipe, Ronita Dacula, Louie Recillo, Jenny Llaguno, Lydia Chan, Razielle Esguerra, and Lawrence Bernabe. I had no time to critique each response individually, so what I’ll do is to publish, below, what I thought were the best responses, and everyone can then match their answers against this list. Just take note that, as with anything having to do with language, these answers aren’t graven in stone and could accept another word here and there. 1. I managed to traverse the thoroughfare without jeopardizing my safety. I crossed the road safely. 2. The people of the Philippines have a great liking for festive occasions. 3. Society as a whole, as well as the individual persons in it, should practice the virtue of honesty. 4. In my personal opinion, it is my idea that a prohibition on pistols, revolvers and rifles should be implemented. 5. His actuations produced a profound surprise in the very depths of me. 6. We have insufficient information with regard to this state of events. We need to know more about this. 7. Let us satisfy the requirements of our bodies for nourishment. 8. The outbreak of hostilities was within the realm of possibility. 9. I give you my permission to continue doing whatever it was you were doing. 10. He was a uniformed enforcer of the law. 1a. (nice) Filipinos are a hardworking people who can rise above their poverty through resourcefulness and strength of spirit. 1b. (nasty) The Philippines is a nation of beggars. 2a. (neutral) The Philippine economy depends greatly on the remittances of overseas workers. 2b. (nasty) The Philippine economy would collapse without the remittances of millions of Filipinos forced to work overseas by the lack of good-paying jobs at home. 3a. (neutral) Your proposal needs improvement. 3b. (nice) Your proposal shows promise and, with some changes here and there, can rise to its full potential. Strictly speaking, the second exercise really no longer belongs to the realm of editing, which most often involves rendering a piece of text in its simplest, clearest, and most accurate form possible, but rather to editorializing, which is the art (some would say the nefarious art) of introducing an emotional or political slant into a statement to influence the reader’s opinion. PR specialists and propagandists (including editorial writers) do this all the time. I worked years ago as an editorial writer for a now-defunct newspaper, and one of these days I’ll do a separate piece on that experience. “This is not to say that editing is not a legitimate job. It is. It is also a necessary step in the writing process. But it is not the most important role in the writing process. That would be writing, which any honest editor will tell you is much harder than editing. (An editor who will not admit this is not worth listening to.) Reporting is a difficult chore. Writing is a psychologically agonizing struggle. Editing is not easy, but not as onerous as either of the two tasks that precede it. You would never know that, though, by looking at the relative salaries of the people who do the work. 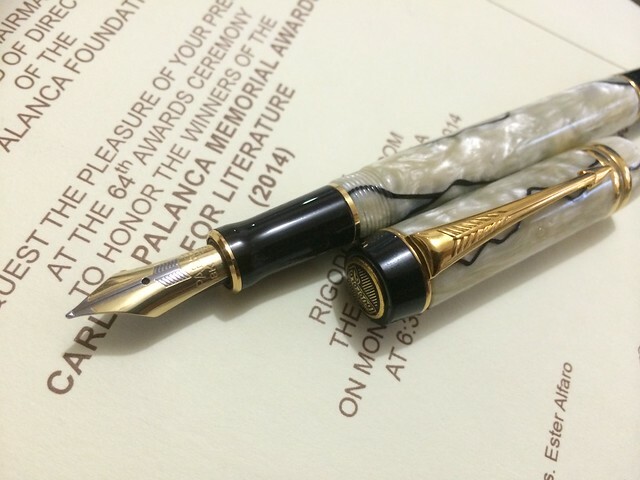 This entry was posted in Art & Culture, Writing and tagged editing, wriitng by penmanila. Bookmark the permalink.